One of the things that made Batman TAS, Superman TAS and Batman Beyond really enjoyable and memorable was how complex they were. With fully fleshed out villains & our heroes having to deal with questionably morally grey issues and themes. It truly helped them make them classics. 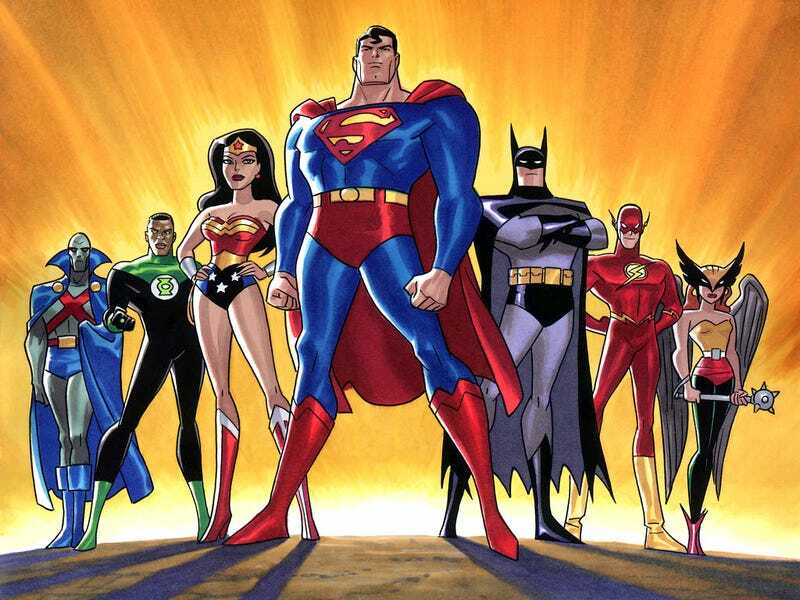 However, over the past few weeks, I've been watching the first season of the Justice League and I realized that it was amazingly simplistic compared to the previous series. With themes being very black and white and the villains being more flatter. It's overall just weaker and in some cases just bad. Secret Origins: An okay introduction but not as good as On Leather Wings, The Last Son Of Krypton or Rebirth. Also, Justice League says genocide is okay if they're the bad guys. In Blackest Night: As I've said previously, again the Justice League commit genocide and it is depicted as okay. The Enemy Bellow: Orm is amazingly stock and the complex issues of the Atlantians being mistreated and abused by humanity is completely brushed aside for a bland action story. Paradise Lost: The Amazons are idiots for kicking Wonder Woman out at the end of the story and it makes no sense why they would give Faust the key and not a copy or any other sane plan. War World: Hey Draaga, you have no political or economic experience and you clearly suffer from mental stress and other problems from spending years forced to fight to the death. Lets make you the leader of a world with food shortage and is in financial breakdown. How can that possibly go wrong. The Brave And The Bold: Flash's intelligence drops for the sake of the plot and is an overall a mediocre story. Fury: Never be kind to Orphans, just let them die is the moral of this story. Legends: Really like this story actually and was the best of the first season. Injustice For All: Again, another mediocre story that had a really obvious twist. A Knight Of Shadow: The villains are really bland and again, another really bland story. Metomorphosis: Would have been good if they hadn't made the villains so over the top that it wrecks the overall tone of the story. The Savage Time: What the hell is this? The British and the Canadians fought at the Battle of Caen and a good chunk of them were POC. Why on earth are all the soldiers white Americans in the episode except for the the Blackhawks (who are also all white). Why are the Justice League so surprised the Nazis are making fighter jets when it was the Nazis who invented them? Why did they decide to piss on the Polish and British when they flat out stated that nobody had cracked the Enigma Code? How was this story allowed to air? Who let Stan Berkowitz write this when he clearly knew nothing about WW2? Why did no-one do any basic research. Worst episode of the first season and a prime example of whitewashing and distorting history.